The COO of NYSE listed GlobalSources.com was kind enough to write the preface to my book and I am happy to report that I recently paid for a small plot of land, indoor pool and bungalow in Thailand using the earning from this self-published book. With those milestones behind me, I thought it would share with you a bit more about the book, why I wrote it, what’s included and how you too many benefit from reading it. Based upon a decade of continuous practice on-the-ground in China and feedback from his internationally recognized, industry leading, seminar series, this book is the only China sourcing reference written by an American with both sourcing and manufacturing expertise. It offers buyers a comprehensive understanding of China sourcing from a quality control, intellectual property, negotiations, supply chain management, manufacturing, engineering, finance and bi-cultural point of view. – No other China sourcing guide offers supportive, empathetic insights from a buyer’s perspective. – No other guide includes a full complement of templates, checklists and best practices at every step as the project moves from concept to delivery. Even veterans of China sourcing will gain from this book. Amazon Listing is found here. 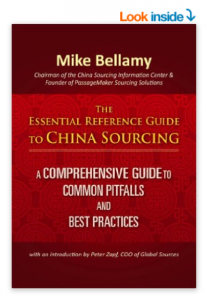 What makes the “essential reference guide to China sourcing” special? Let me tell you a bit about why the Essential Reference Guide to China sourcing is different from any other guide book available at this time. There are primarily two kinds of China sourcing books out there. The first group is available at any major book store between 15 and 35 USD and make very interesting reading as we follow the authors on their China business adventures. These books do and excellent job of helping the reader get a feel for the dangers and opportunities in China. But they don’t go so far as to give practical tips in the form of templates and procedures to avoid the dangers and capture the opportunities they talk about in their book. The second group of books are often in the form of e-books or puff files written by sourcing experts that do start to cover specific tips and check lists. These materials range in price from free to 30 USD. Some are junk and others are worth the small asking price if the reader needs some general and basic pointers to get started. My goal in writing the essential reference guide to China sourcing was to provide the interesting stories and personal experiences like the first group of books, but I wanted to add actual procedures and best practices at a level of detail and professionalism not found in any of the typical e-books mentioned above. 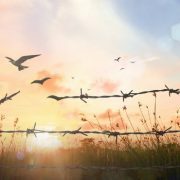 Why would anybody listen to me about China Sourcing? First off, China is so big and constantly changing that when somebody claims to be a China expert, I don’t always believe it. I moved to Asia in 1993 and have been living her pretty much full time since then. Early on in my career, I made a lot of mistakes. I paid too much for products, I had my ideas knocked off, I missed delivery dates.. you name it. So I’m not here to say I am perfect, but rather that “you can learn from my mistakes” and have a much better chance to achieve your goals for price, quality and lead time while protecting your intellectual property. In 2001 I founded PassageMaker Sourcing Solutions with 1 client and 2000 USD on loan from a family member. When the economy was strong a few years back, we manage a supplier chain valued at over 200 million USD! Besides a lot of hard work and learning by trial and error over the past decade, one key reason for the success of PassageMaker is my emphasis on standard operating procedures, templates and check lists for every action performed by the employees of my company. The essential reference guide to China sourcing is based on the operation manual at PassageMaker which is 100’s of pages long and instructs my staff in great detail how to do things like prepare contracts, place PO’s, hold a factory meeting, conduct product inspections, manage projects, attend a trade show and such. All of these tools and strategies are included in this guide book! 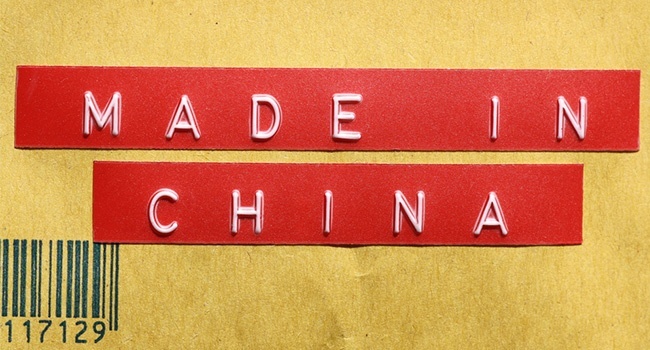 It’s a reference guide to China sourcing, with lots of details and templates. The essential reference guide to China sourcing, is easy to understand, but it is NOT a quick 1 hour read! On the contrary, it is a comprehensive manual for every aspect of running a sourcing agency or purchasing office. This book has real value if you are getting started in sourcing or if you want a benchmark for your existing sourcing operations. Some of the other books may say “it’s important to find a good supplier”. Nice tip, but what are the actual steps involved? In my book not only do I explain how to define what is the ideal supplier for you, but I provide the actual template taken from my company’s operation manual and provide case studies walking the reader step by step thru a typical project roll out. Other books simply don’t offer this level of detail. Let me give you two more examples of the level of detail provided in my book. Some guide books say things like “have a good contract in place that defines what you are ordering”. That’s a no-brainer, but what should this contract look like you may ask? Well on page 100 in my book, you will find an actual contract template in both English and Chinese that you can cut and paste for your own business. Another guide books says “make sure to do a quality check before you ship”. Also a no brainer, but you are left asking yourself “what should a product inspection cover and how to manage the details?” On page 208 of my book you will find an actual inspection report that you can use as a template in your own business. Thanks you for reading about my guide book and if you have any questions about the book or China sourcing in general, please do not hesitate to comment on this blog post or write in to me directly. BTW, if you like the topics covered in this eBook, you will love my online course at www.ChinaSourcingAcademy.com. The online course covers more topics in greater detail and the video format makes it easier to absorb information in a short period of time. McDonald's, also known as the "Get-Out-Of-China-Free-Card"